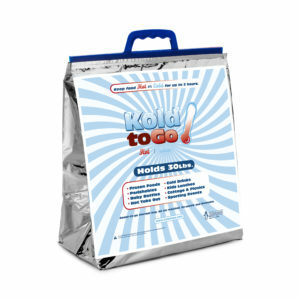 Our line of generic Kold-To-Go Thermal Bags and our line of Plain Bags has been introduced to the US market over a decade ago. 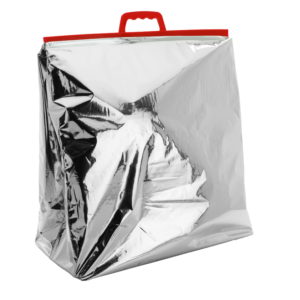 It has made its way into people’s everyday lives making it a must have for retail outfits. Thanks to our patented three ply technology, they will keep items frozen up to three hours without ice! Their rugged construction, comfortable handle and gusset or hard bottom ensures true sustainability through multiple uses. 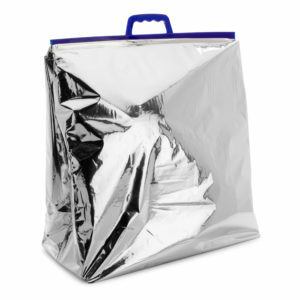 Our Plain Bags use the same technology as our generic Kold-To-Go Thermal Insulated Bags. They offer the same great features with the advantage of being entirely unprinted, making them easy to customize with a simple label or a screen printed logo. 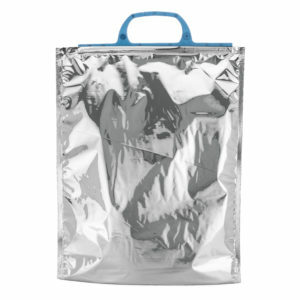 These bags are great for distributors who want to carry our line for resale in their store. Custom printing services available upon request. Contact us or Call us today at (888) 216-1700 for more information. 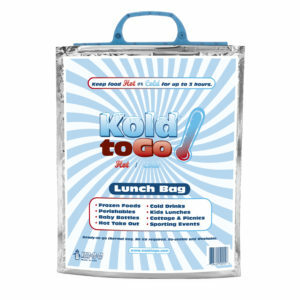 The 25 Liter Kold-To-Go Thermal Bag is the ideal grocery bag for your cold and frozen items. 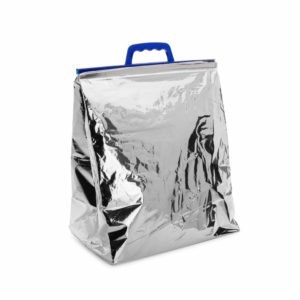 The perfect size Insulated Thermal Bag for lunches, snacks and a cold beverage! 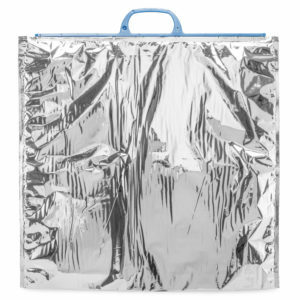 It will keep your perishables cold for up to 3 Hours! 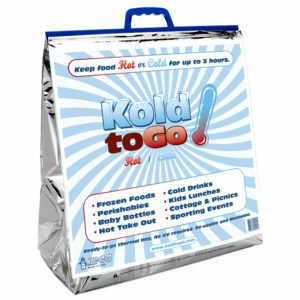 The 12 Packer Generic Kold-To-Go bag was specifically designed as a cooler to hold 12-18 beverages and a bag of ice. 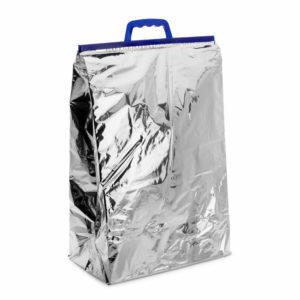 This truly gigantic thermal bag is well suited for transporting large frozen food purchases. 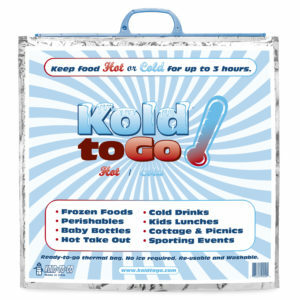 Your Kold-To-Go bag can be used for so many things around the house we can’t even list them all! 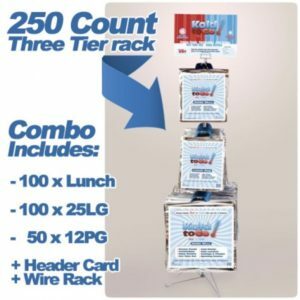 This 250 count combo is the perfect tool to successfully market your Kold-To-Go thermal bags in your store. 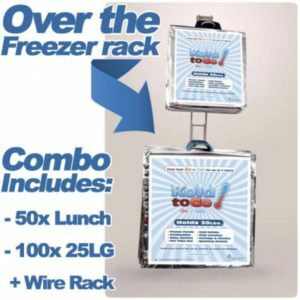 Over the freezer rack combo holds 24x Lunch bags and 24x 25 Liter thermal bags simultaneously and comes with a total of 50x Lunch bags and 100x 25 Liters so refills for the rack are always handy.